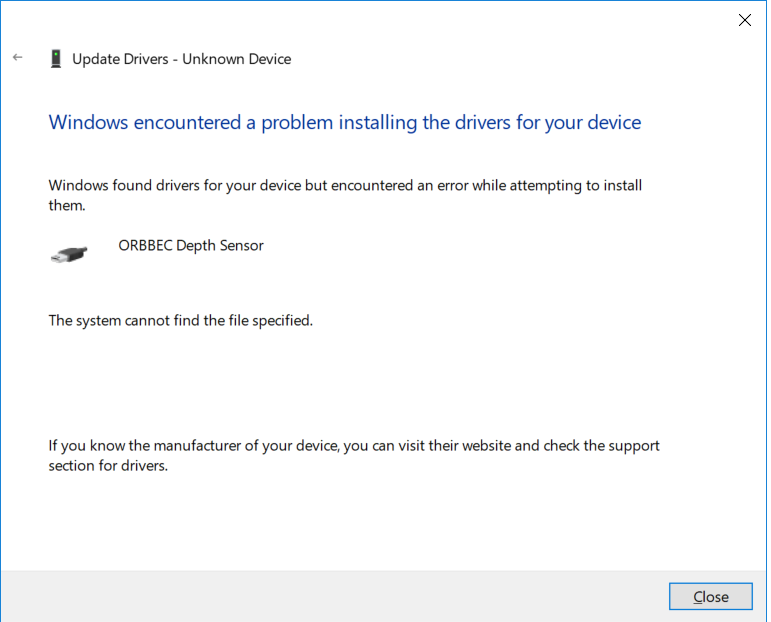 Hi, So I'm trying to install the Orbbec driver on my new laptop but the process always fails. 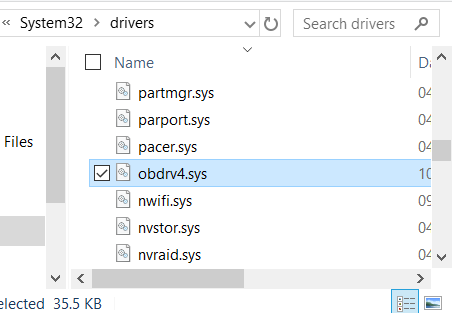 FIrst driver attempt didn't push through. So, I tried manual installation. I've checked the path and files and they're all correct. I've checked the driver and it's there. But the system still doesn't recognize the camera. 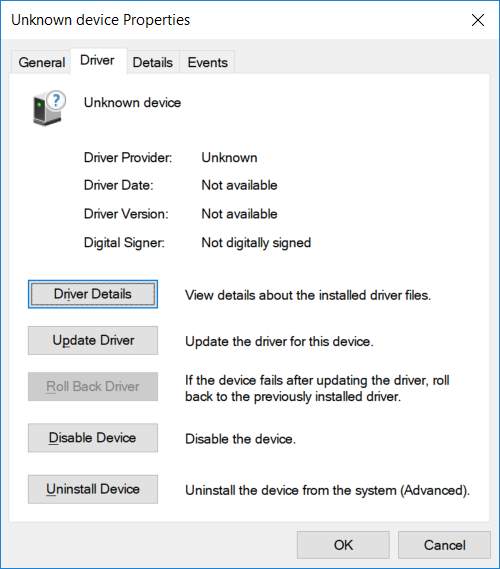 Weirdly, I tried installing the drivers while the camera is plugged in and the installation pushes through. But everytime I plug the camera in. It doesn't read it. I did an uninstall and followed the instructions and did a reinstall. Still the problem persists. The last thing I want to do is reformat my entire PC and start again. 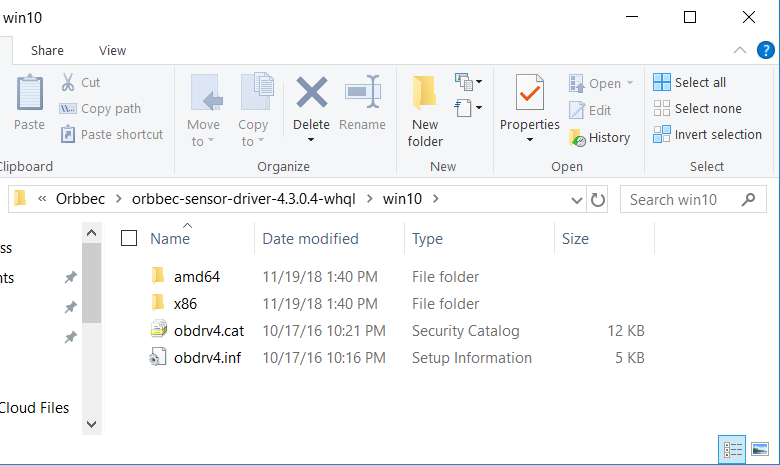 I'm using and Orbbec Astra, We tried it on another PC and it's working well. 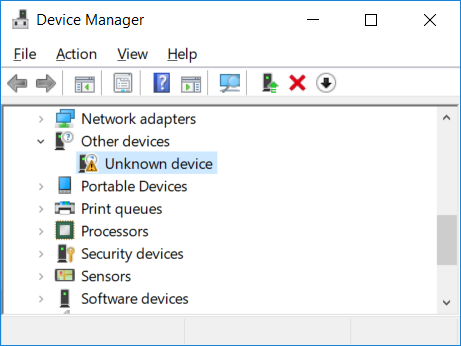 It seem like your window OS is broken. Reinstall it and all things should work. [UNITY] Using camera depth sensor(Orbbec Astra Pro) in interactive game.